Evidence-based Health Coaching for Healthcare Providers, 4th Ed. Evidence-based Health Coaching for Healthcare Providers, 3rd Ed. Miller & Huffman Outcome Architects, LLC: Winchester, TN. Evidence-based Health Coaching for Healthcare Providers, 2nd Ed. Evidence-based Interventions & Decision Support for the Management of Chronic Conditions in OASIS C: A Pocket Guide for Clinicians. Management and Prevention Guides for Seven Top Chronic Conditions. Home Health Outcomes-Pay for Performance and Disease Management: Gold Nuggets for Success! ICD-9-CM Coding: Quick Reference for Home Health Clinicians & Managers. Advancing the Practice of Health Coaching: Differentiation from Wellness Coaching. Workplace Health & Safety, 64(9), p.400-403. Supplement. Achieving Greater Patient Satisfaction through Evidence-based Health Coaching! The Forida Home Care Connection. The Home Care Association of Florida. 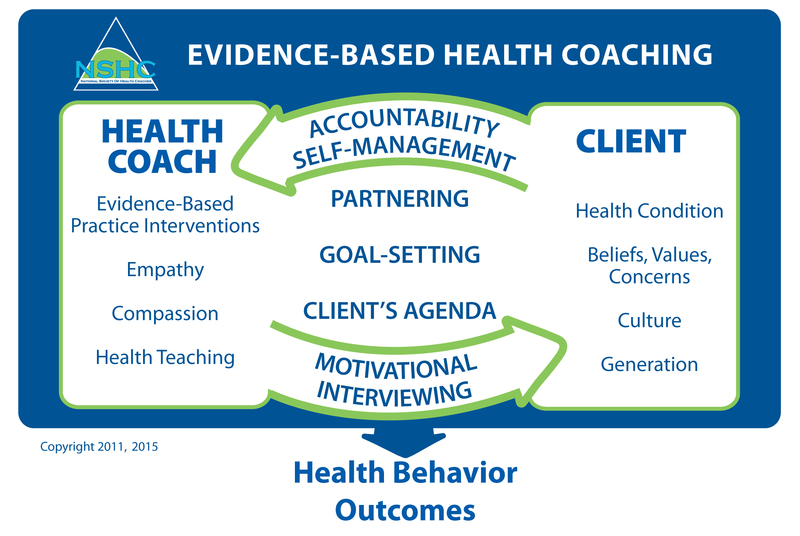 Using Motivational Interviewing through Evidence-based Health Coaching. Home Healthcare Nurse, 32 (9), 543-548. Health Coaching. Consult PRN. Home Healthcare Nurse, 32 (7), 438-439. How to Actively Engage Patients to Change Health Behaviors. Cardiovascular Health: Part 2. Best Practice Intervention Package: Cholesterol Management and Smoking Cessation, pp.62-64. Home Health Quality Improvement (HHQI). West Virginia Medical Institute and Quality Insights. An Integrated Approach to Worker Self-Management and Health Outcomes: Chronic Conditions, Evidence-based Practice and Health Coaching. American Association of Occupational Health Nurses Journal, 59(11), 491-501. Health Coaching: A Fresh Approach for Improving Health Outcomes and Reducing Costs. American Association of Occupational Health Nurses Journal, 58(6), 245-250. Health Coaching: A Fresh, New Approach to Improve Quality Outcomes and Compliance for Patients with Chronic Conditions. Home Healthcare Nurse, 27(8), 490-496. Health Coaching: Collaborating with Patients and Referral Sources in Managing Chronic Conditions. The Remington Report, 17(5), 28-33.